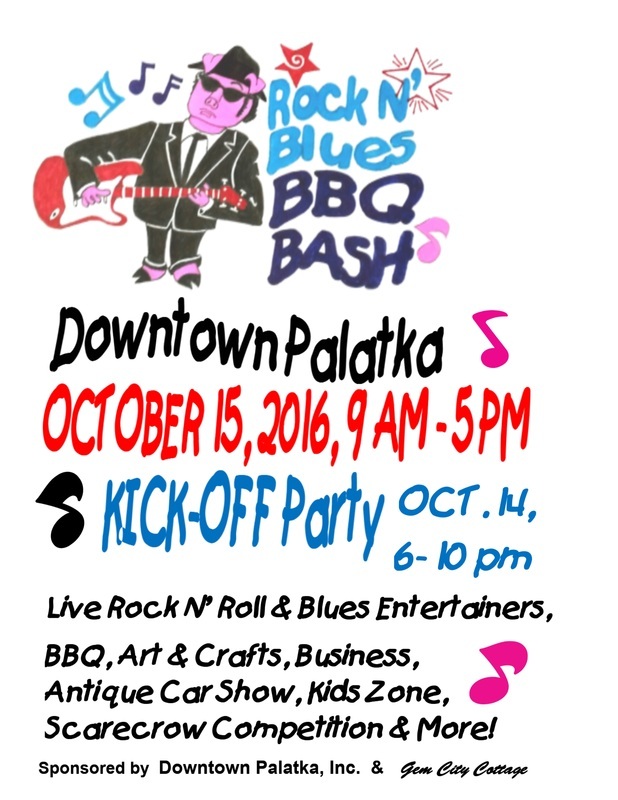 Rock N' Blues BBQ Bash - Downtown Palatka, Inc.
Live Rock N’ Roll and Blues Entertainers, BBQ, Art & Crafts, Business Booths, Antique Car Show, Kids Zone, Scarecrow Competition & More! 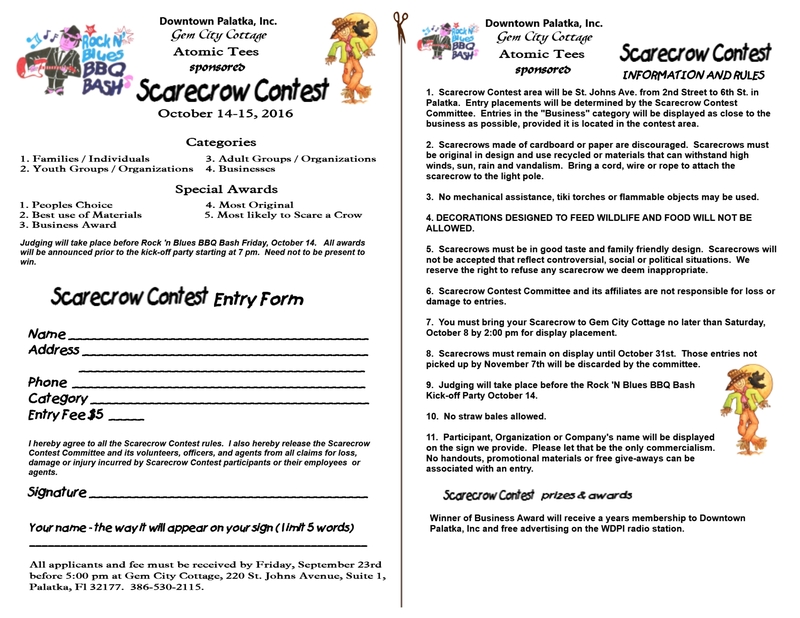 St. Johns Avenue~2nd St.-7th St.
​Live Rock N’ Roll and Blues Entertainers, BBQ and food vendors, Art & Crafts, Business Booths, Antique Car Show, Kids Zone, Scarecrow Competition & More! 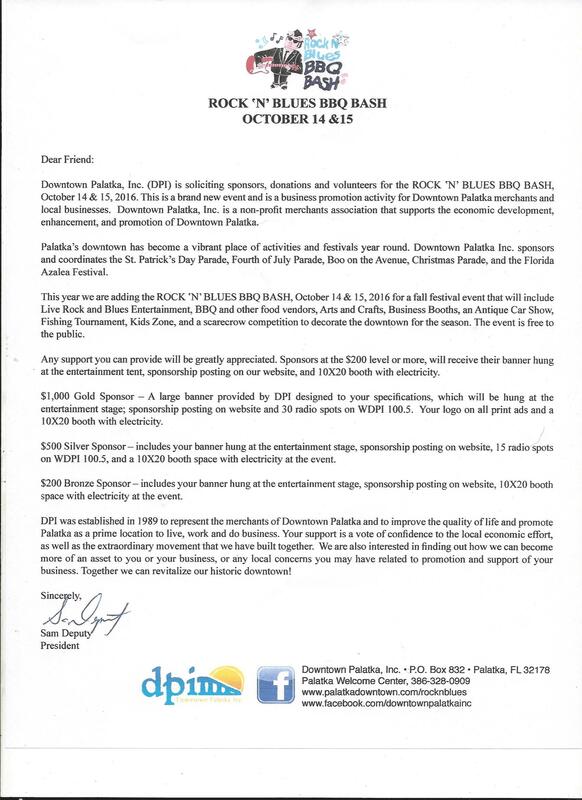 2nd-7th Streets on St. Johns Ave. KidZone and car show in the court house parking lot, Entertainment Stage on the corner of 2nd and St. Johns Friday night at the kick off party.